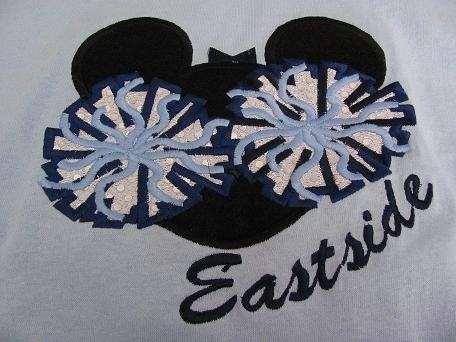 This is the design I wore to Megan's Cheer Competition in Disney World this year. It sparkles with sequin applique behind 2 colored pom poms! Even if your team isn't going to Disney, this adorable mousehead is sure to be one of your team's biggest fans! You choose T-shirt or sweatshirt in Youth small- Adult 2X.